The Auto Marketing Blog: Yes, a Car Dealer Can be a "Trust Agent"
The book Trust Agents by Chris Brogan (@chrisbrogan) and Julien Smith (@julien) is getting rave reviews in social media circles. It’s a book about using the web to build influence and improve one’s reputation online. What’s amazing is it is not your typical social media book that talks about what Twitter is or what is happening with kids on MySpace; rather, it is about practical advice around reputation management and how having online respect can lead to a better performing business or career. That said, I finished the book feeling a bit icky. Don’t get me wrong, it is an excellent book filled with a lot of insight and solid advice. I felt icky in the same way I would feel icky reading a book like How to Win Friends and Influence People which feels like a way to manipulate people and in a sense that’s part of what Trust Agents is about. It doesn’t emphatically say here is how you manipulate people or you should manipulate people, in fact its authors are very clear that the book isn’t for that purpose. So I got to thinking about the most manipulative caricature in the automotive industry – the car dealer – and how he or she might find “Trust Agents” a valuable read. But I don’t think most will use Trust Agents in evil-ways nor do I think car salespeople are bad people; rather, I think car salespeople can learn a lot from Trust Agents. In fact, a lot of the lessons could change public perception of the conniving car salesman. It’s no surprise people hate car shopping and mostly dislike the dealership experience. Social media provides an opportunity to change that perception, but it is not a short-term fix and those dealers who enter social media relationship building might get frustrated because getting a quick sale isn’t what social media is about. You just don’t one day start a Facebook page or a Twitter account and get a bunch of traffic in the showroom the following week. What’s most valuable about Trust Agents is how it outlines what to expect, the time it takes to build respect, and how building a following can turn into amazing things down the road. Understanding the process is one of the solid insights of the book. First dealers must understand the concept of “One of Us.” “One thing that distinguishes certain people as trust agents is the simple defining question of whether a specific community sees them as ‘one of us,’” states the authors. This is a very fundamental concept in social relationship building. The great thing is that I have experienced dealers who get this very well. What makes @JUPCHEVY interesting is that he is someone who is obviously passionate about cars and regularly engages with his followers. The Tweets aren’t the typical dealer communications about what latest vehicle arrived or that they are open Saturday; rather, the communications show a passion for the GM products but also shows some personality. Look at @JUPCHEVY’s Tweets and see what I mean. This is relationship building and Jupiter Chevrolet has become “one of us” in many discussions on cars with other auto enthusiasts. He has shared photos of his classic Camaro, participated in various #carchat sessions with other auto enthusiasts, and engages in a very human, non sales, kind of way. So what about sales? Now, I don’t live anywhere near Garland, Texas, where this dealership is, but it doesn’t matter. 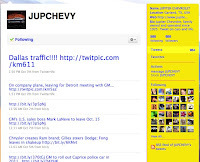 I have a good friend in Dallas and if he ever needs a car, I’d recommend Jupiter Chevrolet in a second. Sure it’s a stretch to say the relationship building will lead to a sale from me, but just think of that. A stranger up in Michigan will recommend your dealership in Texas to people in his social network and with all of us talking on Facebook and other social properties it’s not that much a stretch that some relationships may lead to sales. It’s important to note that @JUPCHEVY hasn’t become “one of us” because he is a car salesman. Nope it’s because of what is mentioned in Trust Agents, “the most important thing is to execute against who you are; be authentic, start pumping out free content, and become part of the conversation.” I know this dealer loves cars and is passionate about his industry. It’s that passion and integrity that has created this trust. 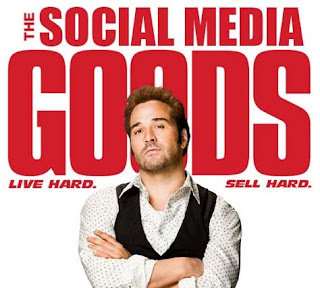 Trust Agents states the obvious, “we tend to buy from people who are like us.” What’s cool about social media is how it can humanize even the most despicable of professions. But it takes time, commitment and a genuine interest in being a sharing person and not just talking about what you have to sell and when your doors are open. The best dealers are those who get that sales is all about the relationship and some very strong relationships can be built online. Trust Agents shows how this can happen and what it means in this new world. What I’d like to believe is that a lot of car salespeople have a passion for their products and their industry and that they too can be similar trust agents like @JUPCHEVY. Sure it’s not for everyone and there does need to be genuineness in one’s communication. It’s possible one could fake it, but trust takes time and hopefully those who are trying to manipulate will get burned out by the time it takes to build a following.